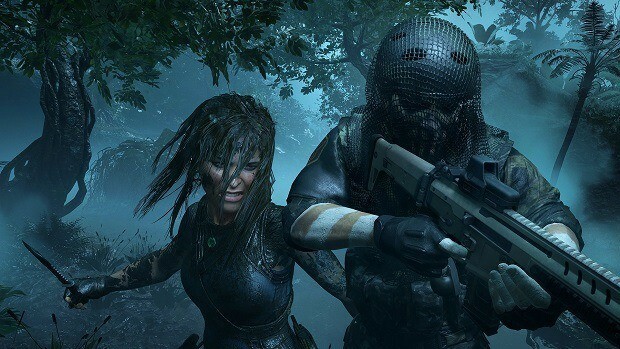 Shadow of the Tomb Raider Weapons Guide will help you with the entire weapon in Shadow of the Tomb Raider from Bows, Pistols to Shotguns along with their Upgrades and Accessories. 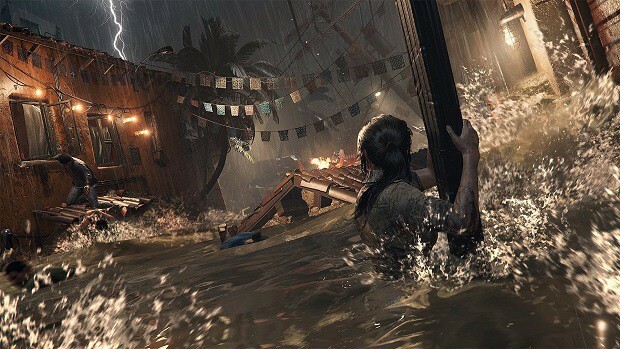 Shadow of the Tomb Raider puts a lot of emphasis on the puzzles, however, that does not mean the developers have forgotten about the combat, as they are a slew of weapons in the game along with their Upgrades and Accessories. That is our Shadow of the Tomb Raider Weapons Guide comes in to help you with all of the weapons in the game. Shadow of the Tomb Raider features Bows, Pistols, Rifles, Shotguns, and Melee Weapons which can be used in different scenarios and situations. Our Shadow of the Tomb Raider Weapons Guide will list all of the weapons in the game along with their strengths and weaknesses so that you can decide which one suits your playstyle. 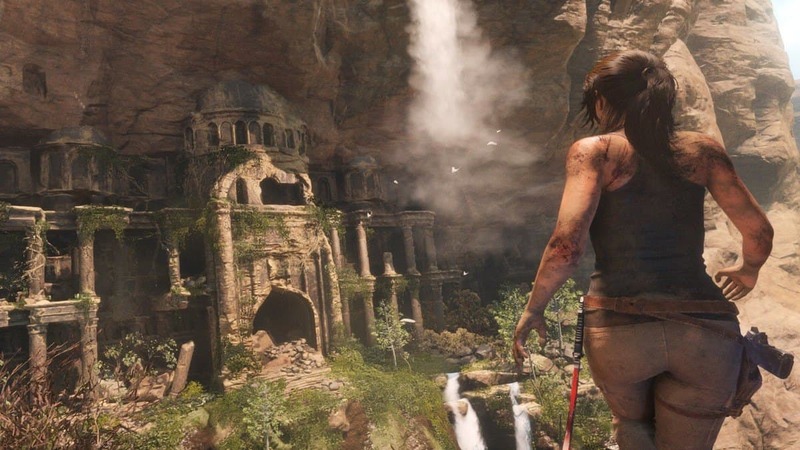 Since the Tomb Raider Reboot, developers have put quite an emphasis on the bows as a weapon in Tomb Raider games as Bows were one of the primary weapons for Lara Croft in the Rise of the Tomb Raider too. 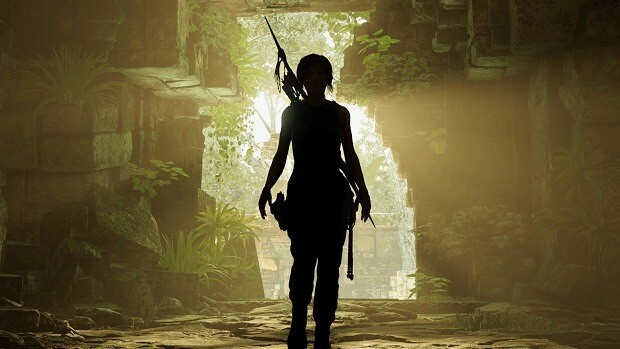 Shadow of the Tomb Raider is also no exception and features Bows not only as a weapon as a Bow can be used for rope tethering, pulling and more. Also, make sure to get the Raposa’s Threat and Howler’s Troops skills to fully utilize your Bow. Combine this with Fear and lure arrows, the bow becomes a versatile weapon. The following are the Bows that players will be able to acquire in Shadow of the Tomb Raider along with their bonuses in combat and hunting. Recurve Bow is the first bow that Lara Croft will receive in the game and it is acquired after Lara Croft cuts down her gear from the Plane wreckage. With this bow, players can play through the entire game if they want as the Recurve Bow is very balanced and deals some hefty damage. You can also upgrade the bow to get additional bonuses while using the Recurve Bow. This Recurve Bow is not any different from the one listed above aside from the fact that it looks much better. To acquire this bow all you need to do is connect your Facebook account with Square Enix membership account and then follow the official Tomb Raider Facebook Page. This bow can be acquired by playing the campaign. Lara Croft will receive this bow in the Porvenir Oil Fields. In terms of stats, the base Six Sky’s War Bow is not different from base Recurve Bow. However, upgrading the bow will get you some nice bonuses in stats. The Serpentwood Bow can be purchased from the merchant in Paititi for 4200 G. This particular bow focuses on damage and rate of fire, however, in its base form; the stats are similar to Recurve Bow. However, if you upgrade the bow it will give you a nice bump in damage and rate of fire along with a slight bump in hold time. This bow in Shadow of the Tomb Raider is quite exceptional as unlike the other ones, the Atlatl Bow focuses on long-range meaning the bow has quite a draw time and very little hold time. However, upgrading the Atlatl Bow will allow for reduced draw time and increased hold time so that Lara Croft can easily pick out her targets from a distance. This bow can be acquired from the merchant in Paititi. The Heart of the Eagle Bow primarily on handling then damage or rate of fire. However, upgrading this bow will grant you some bump in damage, the rate of fire and draw speed. The Heart of the Eagle Bow can be acquired by purchasing it from the merchant in Paititi. Viper Bow is a form of a Recurve bow but with additional poison damage that every arrow loosened by this Bow deals to the enemy. By upgrading this bow, you can bump up the rate of fire, hold time along with an increase in damage, and draw speed. The Viper Bite Bow can be acquired by completing the game and then playing the New Game+ Mode. Depending on the path you choose in the New Game+, this Bow will be available for Lara by default or you will have to purchase it from the Merchant. Since the inception of the Tomb Raider franchise, Pistols have been a trusted partner of Lara Croft and they still hold that status in the rebooted Tomb Raider trilogy. 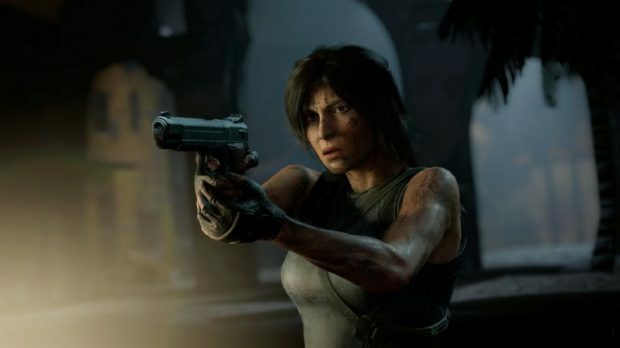 However, in Shadow of the Tomb Raider pistols are much more variant compared to the previous entries in the franchise which are very useful in stealth situations with suppressor upgrade and combine it with Serpent’s Glint skill, the pistols become quite a package of stealth action. Our Shadow of the Tomb Raider Weapons Guide will help you with all of the pistols in the game along with details on how to acquire them and what will cost you to upgrade them. This is the default and might be the very first pistol that players will acquire in Shadow of the Tomb Raider. This pistol is a well-balanced weapon and is suitable for all situations. Players can acquire the AB .45 pistol from a combat encounter in the story which leads up to Kuwaq Yaku which is early in the game. AB .45 Gold Edition is a variant of this pistol which is the same except for the golden looks. To acquire the AB .45 Gold Edition you need to link your YouTube account with Square Enix membership account and then follow official Tomb Raider YouTube channel. This pistol can be acquired by purchasing it from the merchant in Kuwaq Yaku. This a semi-automatic pistol that comes with a high-capacity magazine. The rate of fire is the main specialty of this pistol which you can also increase by upgrading it along with getting bumps in damage and clip size. This is a fully automatic pistol with one hell of a rate of fire; however, the increased rate of fire does not compromise the pistol with increased recoil but maintains a reasonable recoil. However, the increased rate of fire does come at the cost of the damage as it is decreased. By upgrading the NEP-14, you can increase the damage and further reduce the recoil. Players can acquire this pistol from rebel Merchant Moraekah in Paititi. This pistol might not have much of an ammo capacity but it more than makes it up with the damage that it deals which can be further increased by upgrading it. Dealing damage is the main focus of J&D MODEL 27, however, players will be able to upgrade its other stats like the rate of fire and reload speed. Like the J&D MODEL 27 pistol, the River Hawk also deals heavy damage, however, comes at the cost of increased recoil and decreased the rate of fire, clip size, and long reload speed. Players can acquire this pistol from the merchant in Kuwaq Yaku. Moreover, players can upgrade the pistol to bump up the damage, clip size and reduce recoil. 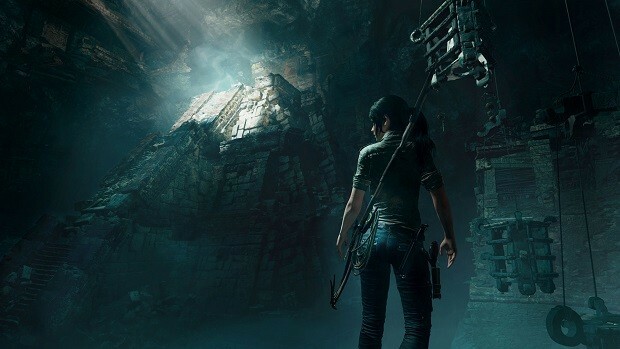 Rifles in Shadow of the Tomb Raider are one of the most reliable and probably most used weapons in Tomb Raider games and developer Eidos Montreal has introduced a slew of rifles in Shadow of the Tomb Raider. In our Shadow of the Tomb Raider Weapons Guide, we will list down all of the rifles available in the game along with for which situations they are best suited for and how many resources will it take to upgrade them. Lara acquires this assault rifle early in the game during a combat encounter that leads up to Kuwaq Yaku. This rifle is a balanced weapon suited for any situation. Vicar Mark II Gold Edition is a variant of this rifle that is the same except for its looks. This rifle can be acquired by linking your Twitch account to your Square Enix membership account and follow the official Tomb Raider Twitch channel. This is a light machine gun with one hell of an ammo capacity and the reload speed is very low. However, this rifle deals less damage compared to other rifles. Players can increase the damage by upgrading the rifle along with reducing recoil and further increase the rate of fire. Players can acquire this weapon from Porvenir Oil Fields during a story mission. What this rifle lacks in damage and stability it makes it up with its enormous clip size. However, this rifle is suited for spray and pray tactic as the enormous the clip size is the stability of this rifle makes it hard to target one enemy. Players can acquire it from San Juan Merchant. In addition, this rifle is best suited where the area is crowded with the enemies. This is probably the only rifle in Shadow of the Tomb Raider that deals most damage with each round; however, the increased damage comes at the cost of the rate of fire as it is significantly reduced. Players can upgrade the rate of fire along with reducing the recoil and increasing the clip size. This weapon can be acquired from the merchant in Kuwaq Yaku. This Shadow of the Tomb Raider rifle is best for sniping enemies from a distance. While this rifle does deal quite an amount of damage, however, the recoil is too high and the reload speed is slow along with the clip size is too small. Players can acquire this rifle in Shadow of the Tomb Raider in New Game+ be selecting the Eagle Path or they can buy it from the merchant in New Game+. 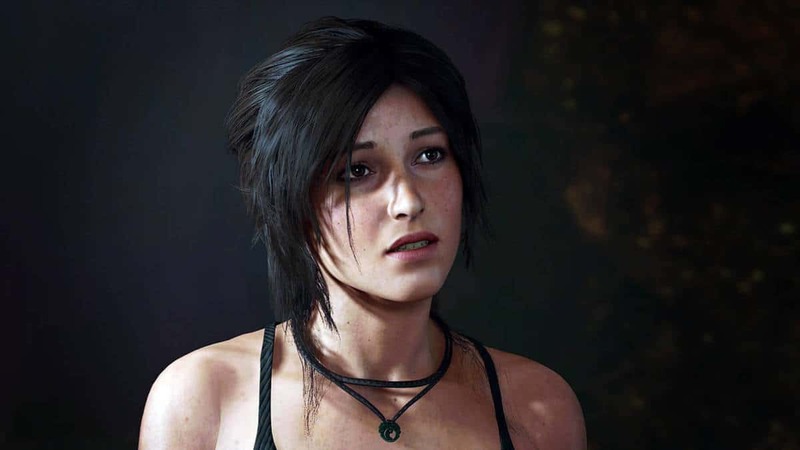 Shotguns in Shadow of the Tomb Raider do not come into play until you are midway through the campaign. However, shotguns are good to deal immense damage at close range. In our Shadow of the Tomb Raider Weapons Guide, we will list all of the shotguns that you can acquire during your time in the game along with the cost of upgrading them. This shotgun can be acquired by just playing the game and there is no way to miss this weapon as having a shotgun is compulsory. This is a standard shotgun and a well-balanced too that players can upgrade to get a bump in stats. Bishop 600 Gold Edition is a variant of this shotgun which features same stats except for the looks. To get this shotgun you just need to your Square Enix membership account. Players will acquire this shotgun from the merchant in San Juan. Like all of the shoguns, Taev 16 deals massive damage at close range which can also be increased by just upgrading the shotgun. However, the shotgun has quite a recoil which can be significantly reduced by upgrading it. This is a shotgun that you need to have if you are looking to deal some damage at a high rate of fire as this shotgun has both. Players can further increase the weapon’s damage and decrease the recoil significantly by upgrading it. Players can acquire this weapon from the San Juan merchant. Melee Weapons in Shadow of the Tomb Raider are important and come in handy when the enemy gets too close to comfort or for simple stealth kills. Melee Weapon in Shadow of the Tomb Raider includes Climbing Axe and knives. The following are all of the melee weapons that Lara Croft can use to inflict damage. As the name suggests, Lara uses the Climbing Axe to climb walls. However, it can also be used as a melee weapon to take down enemies in combat or just stealth killing them. Players will acquire the Climbing Axe upon reaching the plane fuselage in the Peruvian Jungle. Players will acquire this Makeshift Knife from the plane wreckage in the Peruvian Jungle and will able to upgrade it at the campsite. This knife can also be used as a stealth weapon by killing enemies from the shadows. Now only that, the reinforced knife also comes in handy while cutting ropes. Players will acquire this Reinforced Knife from the merchant in Paititi. Finely Crafted Knife is also a stealth weapon that players can use to kill enemies from the Shadows. You acquire this Finely Crafted Knife from the merchant in Paititi. The Jaguar Fang is the epitome of a combat knife in Shadows of the Tomb Raider. Players can use this knife to stealth kill enemies and cutting braided ropes. Players can acquire this in New Game+. Weapon accessories are attachments that players can acquire and apply to their weapons like the silencer for the pistol which is very useful for stealth. The following are the accessories for pistols, shotguns, and rifles along with details on how to acquire them. Hunter’s Quiver: Can Be Purchased from the Merchant in Paititi. Adventurer’s Quiver: First Get the Crow’s Hoard Skill and Hunter’s Quiver and Then You Will Be Able to Purchase It from the Merchant in Paititi. Pistol Suppressor: Purchase It from the Merchant in Kuwaq Yaku. Pistol Ammo Pouch: Purchase It from the Merchant in Kuwaq Yaku. Pistol Sight: This Accessory Can Be Purchased From the Merchant in Kuwaq Yaku. Large Pistol Ammo Pouch: First Acquire the Crow’s Hoard Skill and Pistol Ammo Pouch and Then You Will Be Able to Purchase It From the Merchant in Kuwaq Yaku. Laser Sight: Purchasable From the Rebel Merchant in Paititi. Rifle Ammo Pouch: Can Be Purchased From the Merchant in Kuwaq Yaku. Rifle Suppressor: Can Be Purchased From the Mission of San Juan Merchant. Large Rifle Ammo Pouch: First Get the Crow’s Hoard Skill and Rifle Ammo Pouch and Then You Will Be Able to Purchase It From Mission of San Juan Merchant. Shell Holder: Purchasable From the Mission of San Juan Merchant. Shotgun Spreader Choke: Needs to Be Purchased From Mission of San Juan Merchant. Large Shell Holder: First Acquire the Crow’s Hoard Skill and Shell Holder and Then You Will Be Able to Purchase It From Mission of San Juan Merchant. That is all for our Shadow of the Tomb Raider Weapons Guide with tips on how to unlock weapons and their cost of upgrading.